Enabled with AI, the new IBM Watson Commerce has everything we need to succeed in the competitive world of eCommerce. Watson augments commerce team’s skills and gives an advantage in the battle for market share. Externalized customizations isolates customizations & extensions from the platform which enables quick upgrades, removes expensive testing cycles that significantly discourage innovation. Externalized customization gives greater control with managing and releasing custom extensions. It helps to create deployable packages faster for deploying custom changes. Docker containers make it easy to create, deploy and run applications. With Docker containers, we can have more time innovating and less time maintaining the platform. Docker containers provide Consistent development environments for the entire team. Developers use the same OS, same system libraries and same language. Java Persistence API (JPA Architecture) replaces EJB and is lighter weight than EJBs. Java Persistence API (JPA Architecture) has more skilled developers than EJBs and is much faster and easier to create code. Java Persistence API is a group of methods and classes to persistently store the enormous amounts of data into a database. It allows easy interaction with database instance. 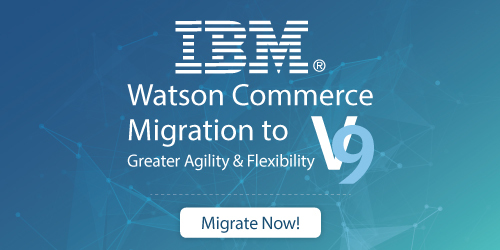 xC Architecture facilitates segregation of business logic from integration logic, permitting businesses to easily apply IBM provided commerce system enhancements and updates while still maintaining all of the customizations that make each site unique. With xC Architecture, WebSphere Commerce can deliver innovation more quickly. Externalized customizations programming model provides us with a simplified process for creating custom extensions with REST services for the Commerce Service, and for customizing the store, search index, and search runtime. With the externalized customizations programming model, we can create business logic extensions. We can unify Watson Content Hub (WCH) with Watson Commerce to manage content in Watson Content Hub and then use the content in the Management Center Catalogs tool. Marketing and merchandising professionals can take advantage of Watson content hub to speedily choose content to create pertinent offers delivered across multiple channels. So which search is best for your B2C or B2B e-commerce site? Endeca Search or Solr Search? If the site’s goal for search is limited to informational outcomes, or there is a budget issue, Solr search maybe be the better option. If the need is to have an adaptable, powerful and scalable platform that can grow with the online business and budget is not a problem, Endeca search is a better choice. The company improved its digital revenues by taking advantage of the intelligent search and built-in analytics and enhanced digital marketing capabilities of IBM WebSphere Commerce. The client benefitted immensely from the migration – old version to WebSphere Commerce Aurora B2B Storefront. This resolved the major issue of managing three different brands and combined them to have a single storefront for the three brands and a shared shopping cart. A digital approach helped the client’s members to reach out to niche markets directly and drive sales on the new categories. It can now provide minor, independent stores the marketing advantages of an enterprise e-commerce platform thereby leveling the playing field with larger competitors. Enhance your digital customer experience with IBM WebSphere Commerce. 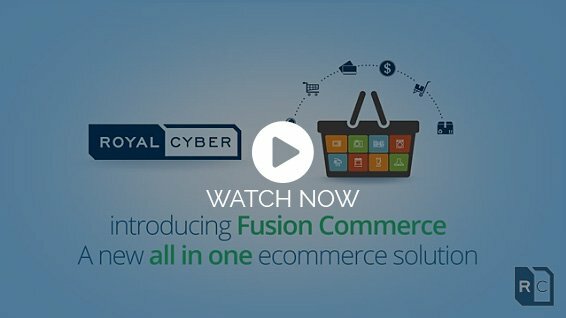 This Case Study briefs, how Royal Cyber leveraged the existing commerce site of a leading Australian retailer. Get the equation right with smart, connected, web savvy, and enjoy a growing array of branded product choices. This White Paper presents excellent insights to expand customer service. Create an engaging brand experience with IBM cloud-based commerce solution. Our experts can prepare you to move from on premise to cloud without compromising on quality. GoDataFeed optimizes your feed for multiple engines, categorizes the merchandises and ensures that your listings go live on the comparison engines. The Google Address Suggestion Widget from Royal Cyber is thoroughly tested and compatible with WCS Feature Pack 7 Fix Pack 8. YouTube widget for IBM WebSphere Commerce helps retailers engage shoppers with more immersive and intuitive experience through video marketing. Customer with smart phone within surrounding of beacon retail stores will be connected with retailer app. Ecommerce solutions can easily be enriched by providing Virtual Audio Chat. The use of voice search through personal assistants. The fastest, most reliable and responsive experience to users, which is likely to please the users due to the way it can cope with each app’s UI/UX resolutions. Single page web application created using AngularJS & NodeJS which provides the fastest shopping experience for customers. 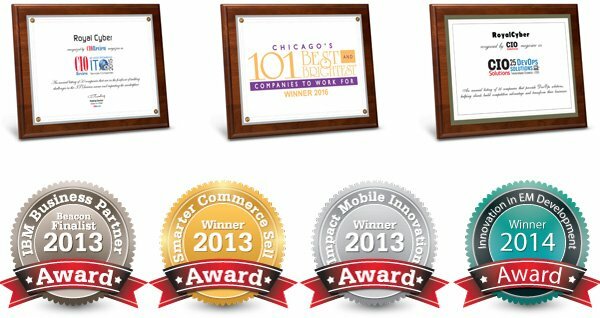 Royal Cyber’s Loyalty Rewards helps you design & manage innovative as well as customized loyalty programs. Retain customer with increase in sales. Is your website ready to handle additional traffic during the Holiday Season?